Eric is co-founder and CEO of Bloomlife, a digital health company designing the future of prenatal care with technology to improve the health of moms and babies. Eric brings a unique perspective on the needs, opportunities, and challenges in emerging healthcare technologies and delivery models informed by multi-disciplinary technical expertise and insight gained through business development in consumer and medical markets. Prior to co-founding Bloom, Eric led business development in North America for Belgian based R&D institute IMEC. In his 3 years leading sales activities, Eric established 17 new partnerships and generated $25M+ in revenue in markets spanning next gen sequencing to remote patient monitoring to hyper spectral imaging and mixed signal chip design. 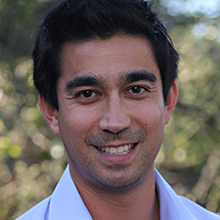 Eric earned his BSc in Bioengineering from Cornell and later his MSc and PhD in Biomedical Engineering from UCLA.